We are two years out from the official opening year of the Star Wars-themed lands for both Disneyland and Disney’s Hollywood Studios. It was announced today that both will open at some point in the year 2019. 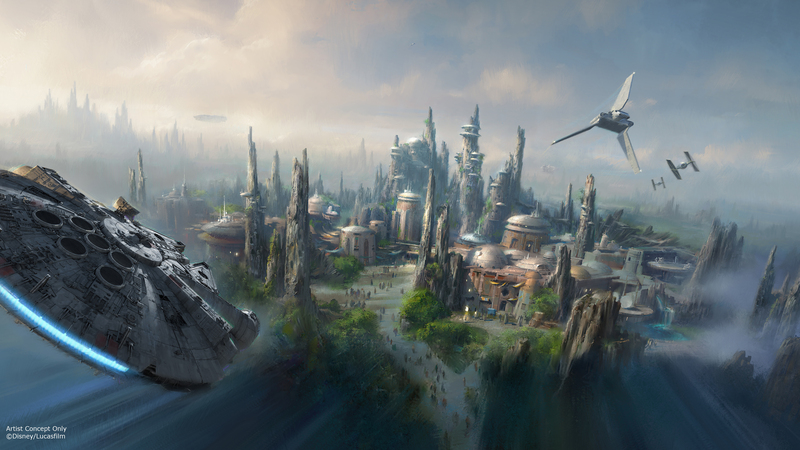 Star Wars Land on both coasts will be the largest ever, single-themed land expansions on each coast. The land will have Guests transported to a never-before-seen planet that is going to be a remote trading port and one of the last stops before wild space. There will be two attractions, one centered around the Millennium Falcon where you will actually be able to pilot it; banking left, right and firing the laser cannons. You’ll be in complete control. The second one will find you in a battle between the resistance and the first order in a race against time. In this new world, you’ll enter authentic locations and be able to meet droids and aliens. You’ll be able to enter an other-worldly street market and taste local delicacies. You can enjoy at meal at the best Star Wars themed-dinner club or you can choose to stop in at the local cantina. 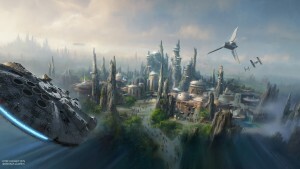 You are most certainly going to want to stay tuned to the blog for more details about Star Wars Land as they get released! The family and I are planning a month long trip to Orlando in 2018. When I first read the headline, I thought that maybe we should delay one year. But the article about Pandora reminded me that Disney doesn’t necessarily stick to timelines and that 2019 could easily turn to 2020 or beyond.